I've really had a lot of fun this year celebrating Nigerian literature as part of our Independence month. So far I've looked at fiction set in Lagos, Hausa fiction in English and Hausa poetry on the Nigerian civil war. For my final celebratory post, I am going back to the 1960s to the time of the Mbari Artists’ and Writers’ Club. This post is less related to my personal identity, but just a really awesome part of Nigerian (and more broadly African) literary history. The Mbari Club was founded in Ibadan in 1961 by German scholar, writer and editor Ulli Beier (the founder of Black Orpheus), Nigerian writers Wole Soyinka, Christopher Okigbo and JP Clark and South African writer Ezekiel Mphahlele. Located in Ibadan’s Dugbe Market, the site of the Mbari Club was an old Lebanese restaurant that was converted into an open-air performance venue, an art gallery, a library, and an office. 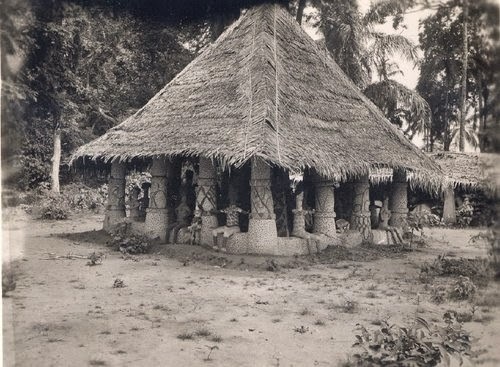 Nigerian dramatist, Duro Ladipo (along with Beier and Mphahlele) also developed a similar club at Oshogbo in 1962, which was called Mbari Mbayo. Other members of the club included Chinua Achebe, Francis Ademola, Demas Nwoko, Mabel Segun and Uche Okeke. "When did you found the club? You ask. 'I think in 1960 and it was Chinua who gave it a name. Mbari is an Igbo name. Soyinka and I were tossing around in search of a name to give the club and then Chinua rang and said "what about Mbari?" And I jumped at the name because I knew Mbari Houses,' he recalls with a nostalgic glint in his eyes". 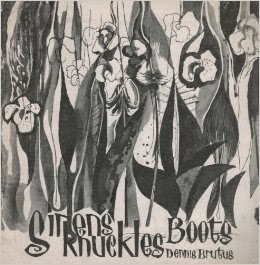 Mbari publications (which grew out of the journal Black Orpheus and the Mbari Artists’ and Writers’ Club), was unique as it was said to be the only African-based publisher bringing out books of Anglophone African literature in the early 1960s. It also published some iconic works of African literature - the first books by Clark, Okigbo, and Soyinka alongside translations of francophone poetry and work by South African writers critical of apartheid. Works included J. P. Clark’s play Song of a Goat, Clark's Poems and Okigbo's Heavensgate and Limit (these two booklets became the first two sections of Labyrinths, which was published after Okigbo's death), Wole Soyinka's The Swamp Dwellers, Bakare Gbadamosi's Okiri (a Yoruba-language collection), as well as South African writers like Alex la Guma’s A Walk in the Night and Dennis Brutus’s Sirens Knuckles Boots. In the 1960s, Mbari Club was a centre of cultural activity in Nigeria for artists, writers and anybody involved in the arts, but it was more than that. Mbari not only promoted African writers, but it also provided a local outlet for publishing with a transnational reach and encouraged writers to find inspiration for their work in their own contexts rather than in colonial stereotypes about Africa. It's also said to have been a crucial prelude for several young African writers to being published in London and New York.